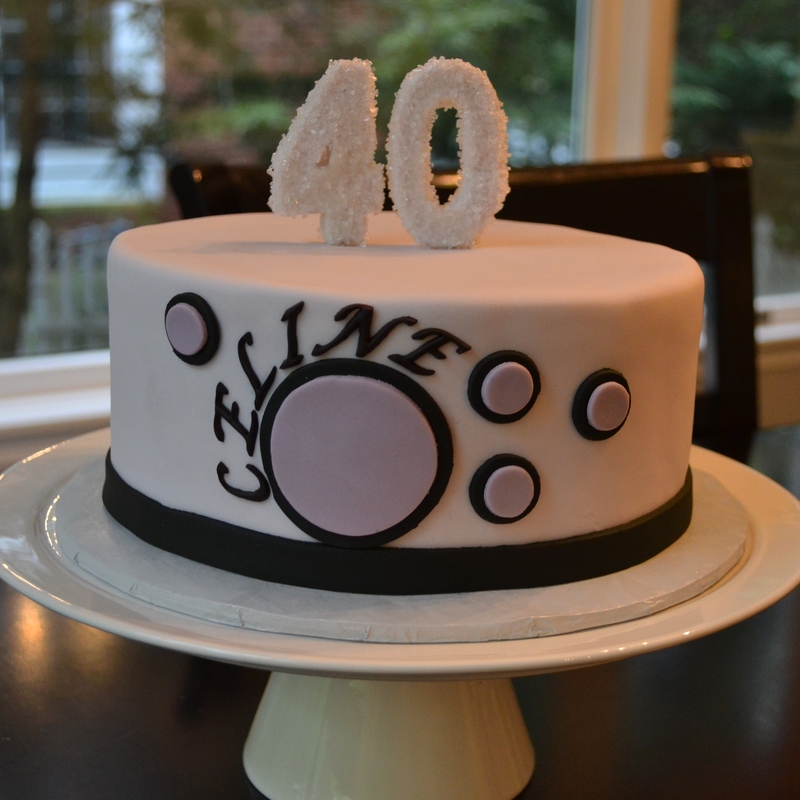 My client for this cake was celebrating her 40th birthday and wanted a special cake for herself and a few family members. She wasn’t really sure of the type of cake that she wanted, so I sent her several images of different types of cakes (classic, modern, flowery, etc..) and she went with a fairly simple and modern design. I topped it off with a sparkly “40” to honor her special day!